Turkey’s Supreme Election Board (YSK) has denied permission to a public rally scheduled to be held by a former deputy and candidate for leadership of the opposition Nationalist Movement Party (MHP), Meral Akşener, ahead of an upcoming referendum on a constitutional reform package. Turkey will hold a referendum on April 16 on a constitutional reform package that will expand powers of President Recep Tayyip Erdoğan and bring an executive presidency to Turkey. The ruling Justice and Development Party (AKP), backed by the Nationalist Movement Party (MHP), pushed through the legislation that President Erdoğan says will bring the strong leadership needed to prevent a return of the fragile coalition governments of the past. The Republican People’s Party (CHP) and pro-Kurdish Peoples’ Democratic Party (HDP) fear the reform will fuel authoritarianism. 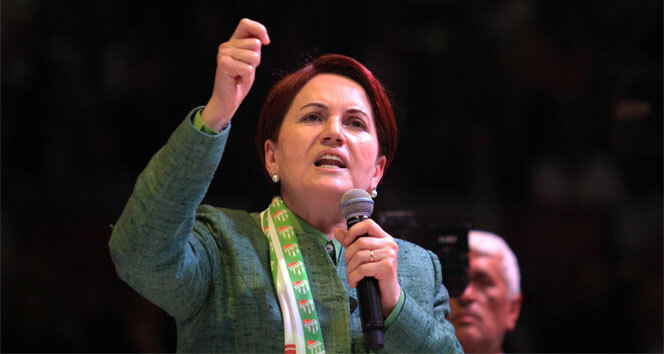 Akşener has been waging a campaign against incumbent MHP Chairman Devlet Bahçeli, who is a supporter of a switch to an executive presidency. She opposes the changes to the constitution that will be voted in the referendum on April 16. Akşener had been expelled from the party in September 2016 after she challenged Bahçeli.